If your wedding is round the corner and you are facing planning issues, taking cues from Bollywood is the best deal for you. When it comes to finalising your bridal attire, picking on the wedding jewellery, deciding on the menu, or the naach gaana, one can easily rely on B-town. Bollywood is the torch bearer to the best ever wedding ideas in India. If you are in the hunt for some amazing ideas for planning a perfect wedding, let us take a look at some of the top Bollywood movies that can suggest something to everyone. The 21-year-old musical romantic-comedy “Hum Aapke Hai Koun…!” is still as fresh as a bunch of flowers. Wedding dance numbers, flowers and sweets, an excited, happy family and elderly relatives blessings – everything compiled gives you a best ever wedding idea. The movie covers all the big and small ceremonies like joota chupai, making fun of friends and brothers of the groom, the saali-jija and devar-bhabhi relation drama etc. The perfect movie for learning how to create the shaadi wala ghar feel.This is one of the best ever wedding ideas that could be picked up from bollywood. We have read a lot on how to enjoy a sister’s wedding, but for a wedding within your sasural, “Hum Saath Saath Hain” is the perfect pick. This movie is a family drama which is being woven around weddings. Tabu and Mohnish Behl’s wedding is a masala-packed Indian wedding with songs, giggles, dance moves and rituals.Plan out special performance starting from younger brother and ending with the next-gen kids. You can chalk down another best ever wedding idea similar on the lines of the cousins on the song- Chote Chote Bhaiyon Ke Bade Bhaiyya and prepare for a Sunoji, dulhan ab inse milo jee style introduction of the in-laws to the new bride. Including these songs at a wedding adds personal touch and sentiments. 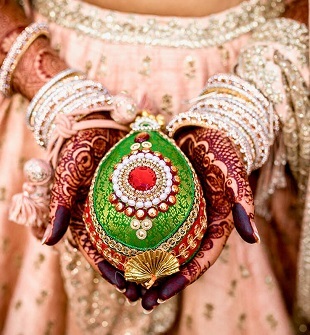 Another one of the best ever wedding ideas from Bollywood is the design of jewellery. For chunky bridal jewellery ideas and learning to team them up right, watch Aishwarya in “Jodhaa Akbar”. Her impressive maang tikka, kamarbandhs and necklaces would make you pine for Marwari jewellery. No movie other than Sanjay Leela Bhansali’s “Devdas” can demonstrate what grandeur is! Watch the movie again and observe Aishwarya’s superb sarees and Madhuri’s lovely lehengas closely. Paro’s royal bridal look in her blue sari is something you can duplicate as it is for. “Zubeidaa” is a movie which is a collection of vintage wear to look at and is ideal for getting inspiration for your entire wedding shopping. From sarees and lehengas to suits, this movie will give you some never-fading style ideas. You got to have at least one blouse stitched like Karisma’s cholis in the movie. Watch the movie and run to your tailor for the exact designs. Doli saja ke rakhna has been the theme song for most Indian weddings since last two decades! The sarson ke khet backdrop is one of the favourite pre-wedding photo shoot setting and the desi-style wedding with ceremonial mehendi, sagaai and karwa chauth are the must-have celebrations. Kajol’s green sangeet lehenga, golden wedding lehenga, became iconic. 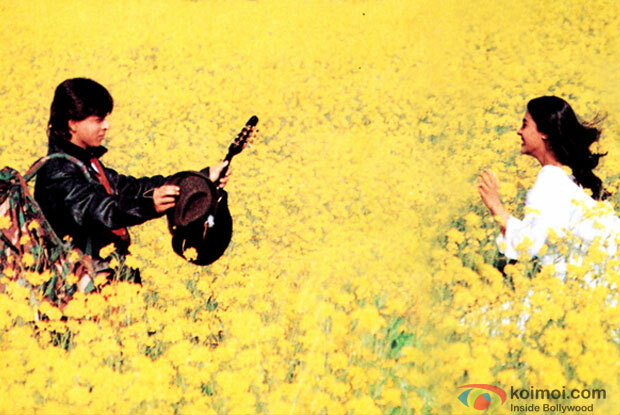 “DDLJ” will purely tell you how to celebrate! Pr-wedding photo shoot is obviously another best ever wedding ideas. If there is one Bollywood movie that has a lot to teach us about wedding venue and décor for a dhinchak wedding is “Band Baaja Baaraat”. If frittering away on dumb professionals is not what you want, you can steal some amazing décor ideas from this movie. The movie has a lot of West Delhi influence throughout. A lot of Punjabi wedding flavours from dance numbers to gulab jamuns, and everything in between reminds you of a cultural wedding set-up. For the real shaadi wala ghar essence, add the songs like Ainvayi Ainyavi and Baari Barsi from the movie and fill the ambience of your house as the ceremonies proceed. 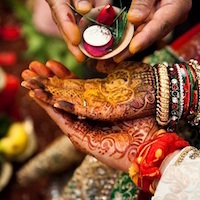 One of the first movies in Bollywood that introduced the concept of the bachelor party in India was “Mere Yaar Ki Shaadi Hai” brings around the modern wedding concept. This is a fun film to watch and there are lots of décor ideas you can steal like red, yellow and orange drapes, especially for the sangeet ceremony. 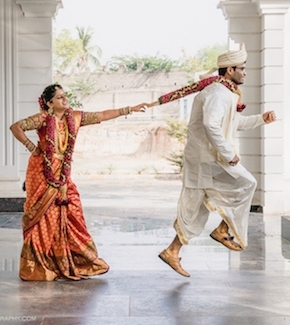 So, these are the best ever wedding ideas that could be picked up from Bollywood. Do let us know which idea you liked the best or if you have any more suggestions for our other readers mention in the comment section below!